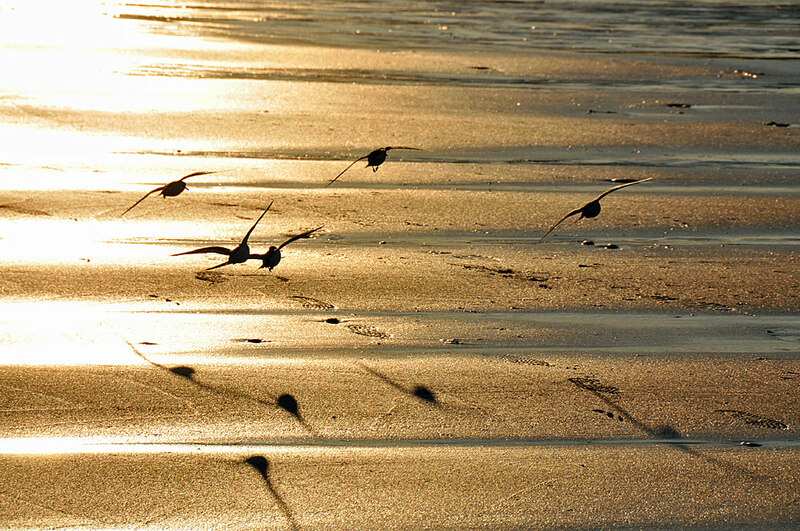 Taken on a nice evening in Sanaigmore bay, a few birds (unfortunately my identification skills aren’t good enough to identify them just from these silhouettes) flying low over the golden sandy beach. This entry was posted in Beaches, Landscape, Repost, Sunny Weather, Sunset and tagged Islay, Sanaigmore Bay by Armin Grewe. Bookmark the permalink.